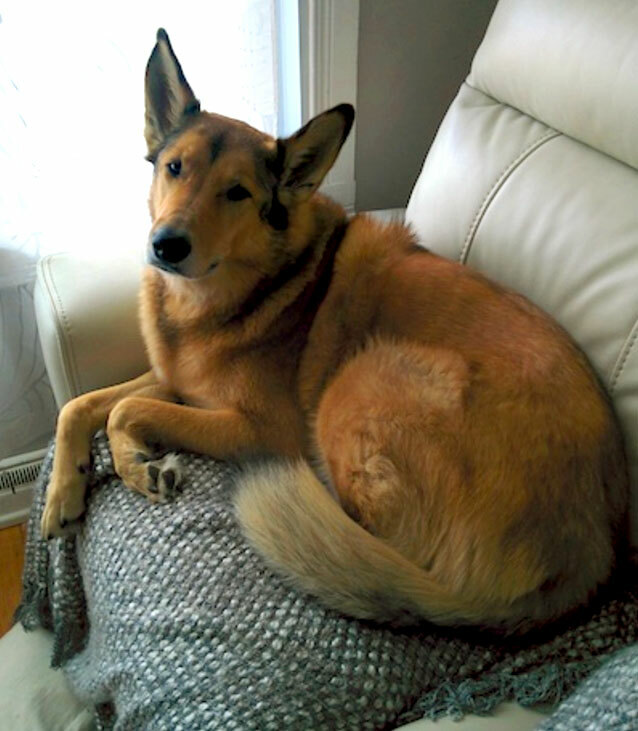 Meg looks after an awesome dog named Bowser while house sitting in Montreal. Like many travel enthusiasts, I have a heart filled with wanderlust. Unfortunately, for someone like me on a budget, it can be tough to travel everywhere I’d like to. Sites like MindMyHouse offer a fun, affordable way to see the world without breaking the bank on hotels and AirBnb spots. For an animal lover like myself, the benefits are twofold – I get quality time with some furry friends as well as a free place to stay! I recently took a trip up to Montreal – the drive from Boston was quite short, but I knew lodging would end up costing quite a bit, especially since I wanted to stay a whole week. After searching through some of the most popular dog sitting websites, I was lucky enough to find MindMyHouse and a listing from Falyne and Luke. They needed someone to watch their dog while they went to Iceland for the week. I jumped at the opportunity! Bowser was one awesome dog – gorgeous, cuddly, and fun, I missed her terribly after I left. She also served as a muse while I practiced my drawing skills! We had a great system going, where I’d head into downtown Montreal to check out art, architecture, and plenty of poutine. Then I’d return home to feed, walk, and chill out with Bowser! Since I own a dog care site, spending time with new dogs and their unique qualities and quirks always provides great article inspiration. Dog sitting allows me to travel on the cheap while also learning more about canine behavior, dog dietary needs, and other pet peculiarities I might never discover otherwise. For example, Bowser had a funny habit where she’d loop behind my back during walks. She also had a special harness designed to prevent pulling – it took me a few tries to get it on right, but we got it eventually! All dogs are unique in some way – some dogs may have allergies and may only be able to eat hypoallergenic dog food. Some homes are equipped with invisible dog fences, while others have traditional fences in yard – and still others have no fenced in area at all, requiring more frequent walks and consistent potty breaks. Dog sitting might mean dealing with a young puppy, or a senior canine with unique medical needs. Whatever the situation, each dog sitting gig is an opportunity to further my hands-on canine education! Whether you’re looking to become a pet pro, or just travel the world with a tight wallet, house sitting and pet sitting arrangements through MindMyHouse are definitely worth checking out! Meg Marrs is the Founder and Senior Editor at K9 of Mine, a dog care website dedicated to helping owners better care for their four-legged canine companions!